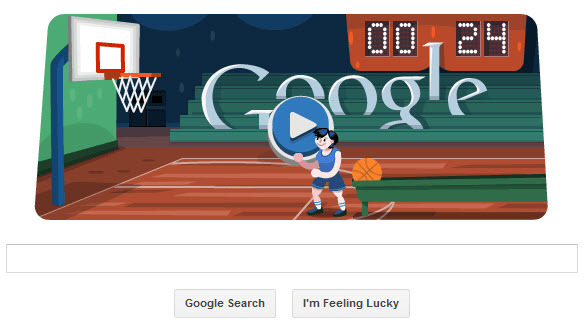 Google is celebrating 2012 london olympic with a new interactive London 2012 Basketball doodle on its homepage. Just click the blue play button and shoot baskets using the space bar or by holding and releasing the left mouse key. Basketball has been a Summer Olympics sport for men consistently since 1936. Prior to its inclusion as a medal sport, it was held as demonstration event in 1904. Women’s basketball was played in the Olympics only since 1976.